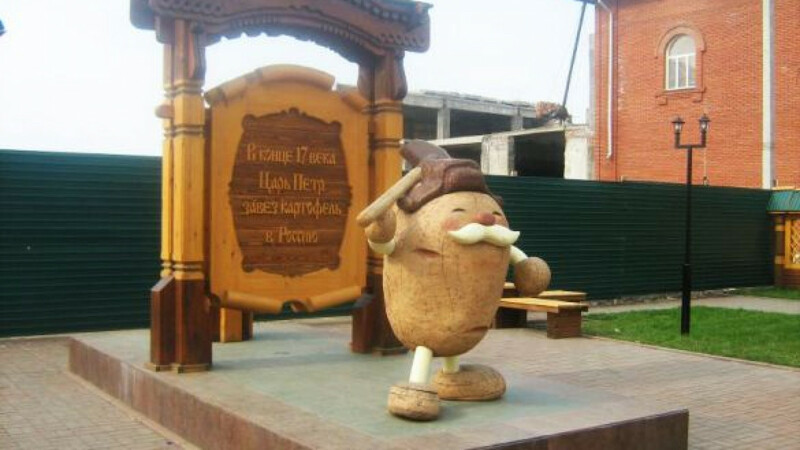 Kemerovo police detained a teenager suspected of damaging a monument to the potato while out drinking with his friends. The damage occurred Tuesday night in Mariinsk, a town famed for its record potato harvests ever since locals broke world records for gathering the starchy vegetable in 1939 and 1943, Interfax reported. According to police, the underage suspect broke an integral part of the statue — a spade — before being detained "without delay" by law enforcement officials. Mariinsk authorities installed the potato monument in 2008 to glorify the bountiful crop of 1942. Yearly potato festivals also take place in the town of roughly 40,000 people.